Manhattan Country Club hosts a classic banquet atmosphere worthy of your special event. Whether a small dinner group, business meeting, wedding reception, rehearsal dinner or private party, our Chef and professional staff are ready to serve your culinary needs. In additon to our friendly staff, we offer a full service bar, 21' x 21' dance floor and array of decor for any occasion. 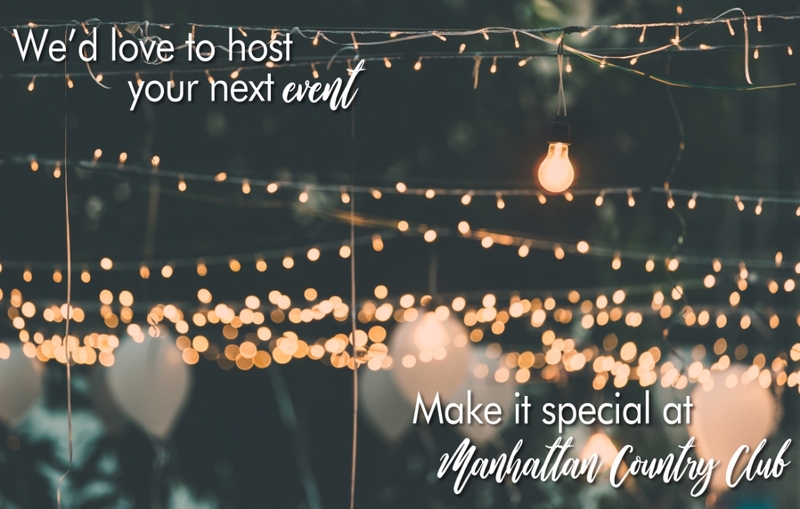 Experience the quality and charm of Manhattan Country Club for your next event.